My guests attending our Havana Nights cooking party were a wonderful group to share the kitchen with. We kicked things off with mojitos that they customized at the mojito bar I set up. So with mojitos on hand, we got busy working on our menu. One of the dishes we prepared was this shrimp and avocado salad. It was easy to put together and the salad was so bright and colorful when ready. What made this salad special was the mojo dressing. Mojo is a traditionally Cuban marinade or dressing made with the juice of sour oranges and garlic. Many Latin markets will often times carry bottled mojo dressing but it's just as easy, if not tastier making it yourself. A specific variety of sour oranges are typically used in the authentic version but if you can't find sour orange juice or sour oranges at your market, you can substitute it with equal parts of orange juice and lime juice. Place cooked shrimp in a bowl over ice or chill in the refrigerator. Meanwhile, prepare the mojo dressing by combining the dressing ingredients in a small bowl. Just before serving, add the tomatoes, red onions, cilantro and avocados to the bowl with shrimp. Pour over the dressing over the salad and toss to coat. 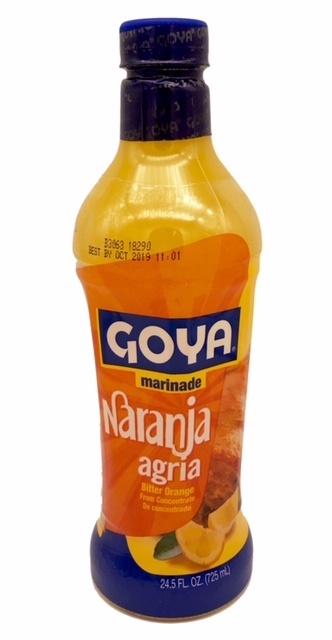 * Many Latin grocery stores sell bottles of "naranja agria" bitter orange juice, you can also find it for sale online. This looks absolutely divine. 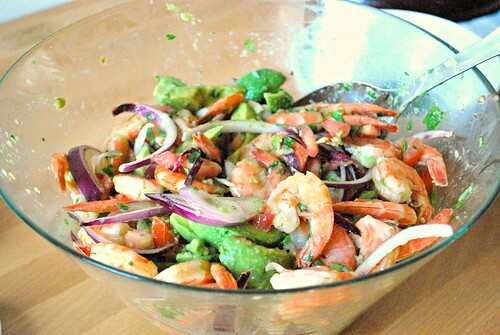 I love shrimp and avocado salads, I can't wait to try and make this at home! Havana nights cooking party sounds bomb!! that looks light and refreshing. Thank you! This is such a beautiful salad! I have been looking for new salads to try, so this is perfect timing! Adding to my recipes now! wow that looks amazing! We love shrimp. But I've never tried it with avocado before. WOW- this looks so good! My husband is Cuban, so it's definitely one of my favorite foods, too! Love the idea of using avocado this way. I really need to think outside the box like that with avocado! It looks so good. I know my son would go nuts for that. Looks really good.. What a great and healthy salad! Yum! I love shrimp and avocado. Definitely bookmarking this to make soon! 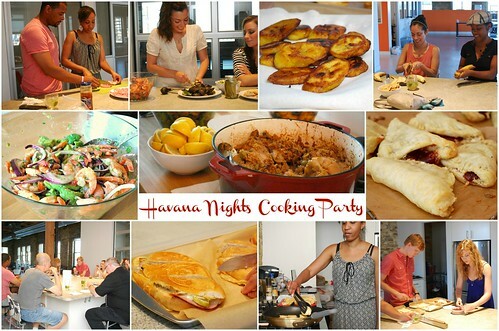 I want to go to a Havana Nights cooking party! What an awesome idea! I don't think I've had Cuban since we moved from Orange County. And that was in 2008! This looks fabulous. I would probably substitute chicken for the shrimp. A cooking party sounds like so much fun!! Thanks for the great idea and the tasty recipe. That looks delicious! We love shrimp here!